WASHINGTON (KGO) -- Christmas has come to the White house: from giant dogs, to giant trees, this year's theme is the Gift of the Holidays. For the Obama family's final year in the White House. They say it was chosen to reflect the joy of both giving and receiving. 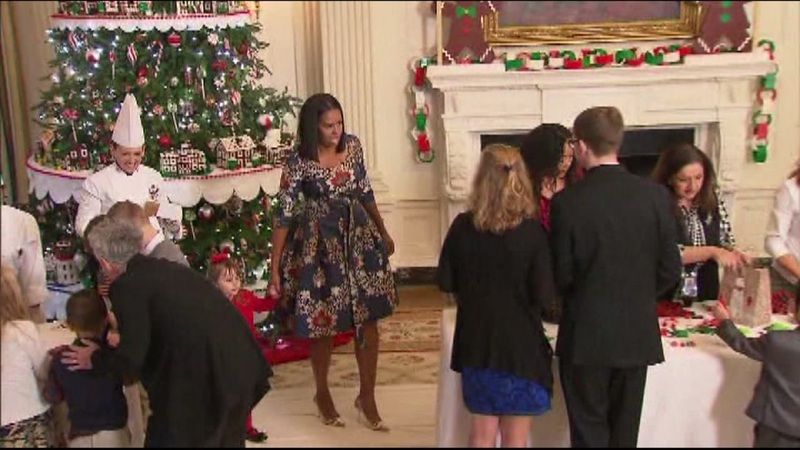 The decorations were officially unveiled today for military families the Obamas have met over the years. A tree decorated with gold ornaments honored soldiers who lost their lives serving the country. Next to it is an iPad station where the expected 68,000 visitors this holiday season can send messages to service members.